In one of the rarest displays, Roger Federer was flat from start to finish, as Andy Murray easily captured Olympic gold in front of his home crowd at Centre Court Wimbledon, London. The Swiss maestro clearly appeared physically drained from his 4 hours 26 minutes marathon victory over Juan Martin Del Potro in the semifinals. Murray seized the day however, converting on nearly every break point chance he had, while Federer poorly went 0 for 9 on his break chances. It was a surprising let down but the efforts of Federer in these 2012 Olympic games deserve their reward. 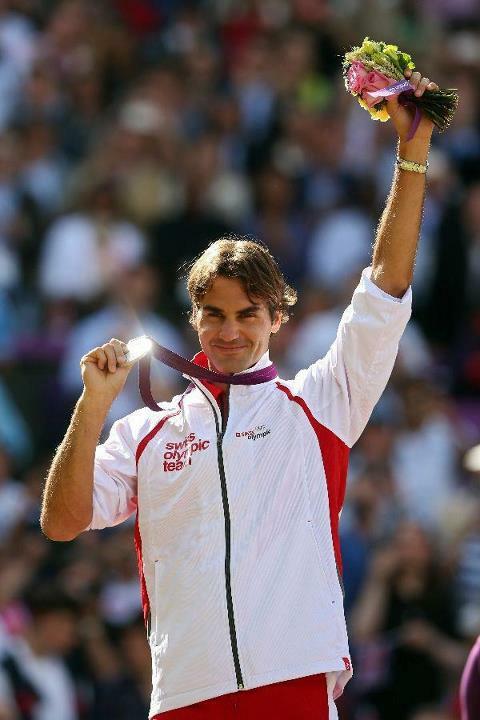 A shining silver medal to go along with his gold medal with teammate Stan Wawrinka at the 2008 Beijing Olympics. 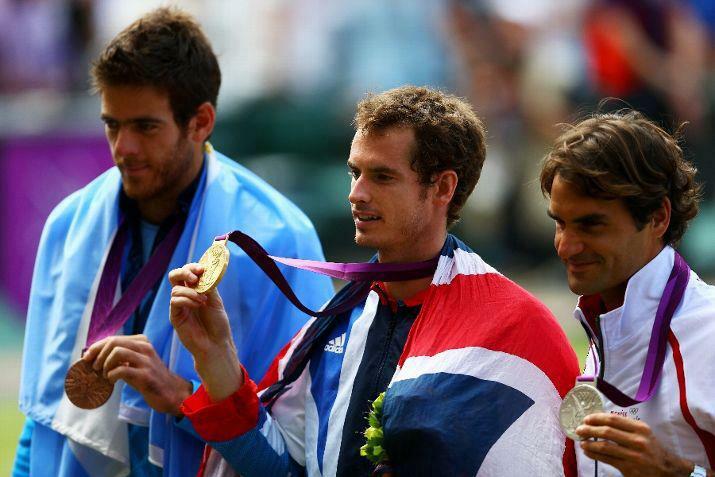 Final scores of the medal matches: Murray defeated Federer 6-2 6-1 6-4. Del Potro defeated Djokovic 7-5 6-4 (best of 3) for the bronze medal.